6.The presentation begins with comprehensive, dynamic team stretching and warm-up exercises. These exercises are presented with enough detail that a coach can easily add them to their program. Hand skill development begins with a 10-minute warm-up routine. Using four simple techniques, this drill increases confidence and ability in ball handling. The segment includes a "fast hands" exercise, which is simply moving the ball as quickly as possible from the left to right, touching the ball as quickly as possible to change its direction as efficiently as possible. The exercise continues by adding more space to the movement of the ball, moving it from foot to foot, concentrating on ball control. Quick lifts and air dribbles complete the hand skill warm-ups. The fundamentals are combined with footwork and shooting to create progressive drills that challenge a player's dexterity and fitness. By focusing on basic movements, a coach can easily correct a player's movements, which, in turn, ensures that the player will develop strong foundational skills. Players are encouraged to start slowly and then advance to game speed, which also ensures correct execution of the technique. Beginning with basic movements, the presentation quickly progresses to a high-tempo skills drill. 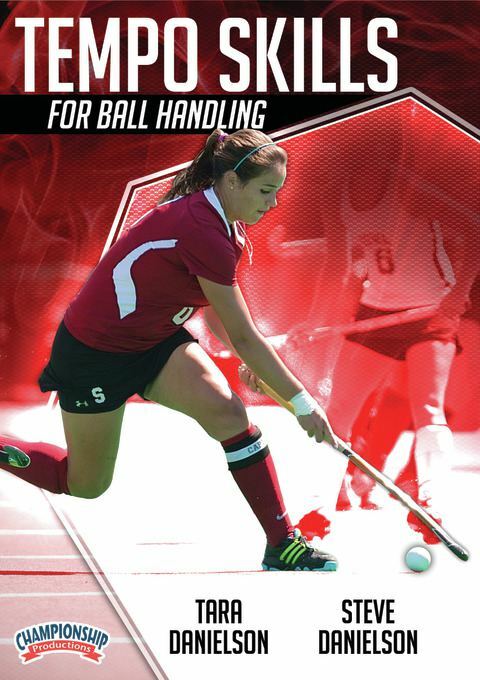 In addition to providing foundational strength for individual field hockey skills, this video gives coaches and players a template for building drills that can be customized to the needs of each player. Once an athlete has learned the basics of the game, this video will help them take their performance to the next level.